The name Sami Al Haddad is synonymous with bodybuilding in the Kingdom of Bahrain. 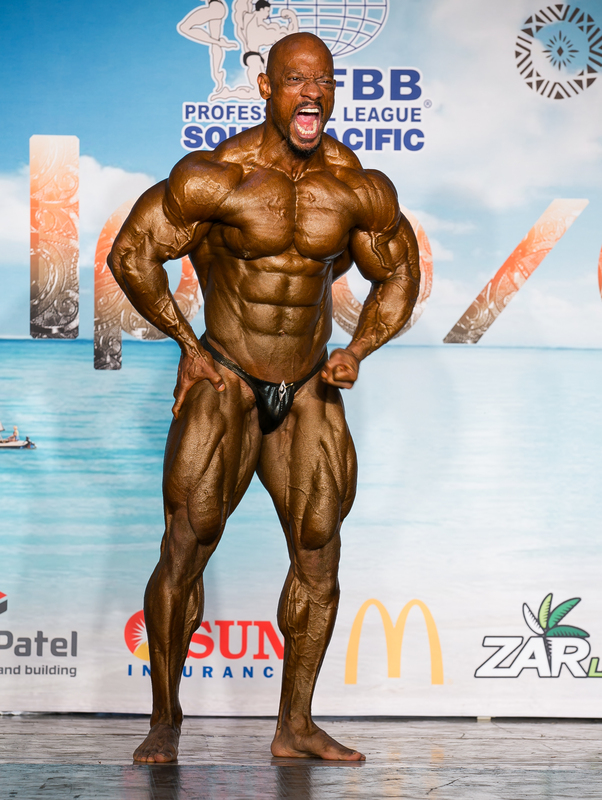 A superstar in the realm, Sami Al Haddad has made the Kingdom’s name glorious by winning the gold medal in the Ifbb Pro Spain 2018. Bahrain This Week meets with Sami Al Haddad on the victorious occasion. First and foremost, Congratulations once again! Can you briefly detail the championship and the ultimate victory? Before Spain, I did three pro shows and placed in 2nd place in all of them. These shows made me realize how close I was to the gold and didn’t get it! I came back home and gathered all my power to set a plan for gold. I promised Shaikh Nasser bin Hamad Alkhalifa that I would bring the gold medal in the Kingdom. I used to train three times a day and have 7 meals and sleep only 6 hours. The other Athletes were well prepared too, but I knocked them out and got the gold. To whom are you thankful for this victory? To none other than Shaikh Nasser bin Hamad Alkhalifa for his unlimited support. How and when you got initiated into bodybuilding? I started when I was in high school at the age of 17. I got into it because of many reasons, but on top of all, I wanted to be someone that the kingdom going to be proud of one day. Can you explain your daily routine to achieve your goals? Can’t do that because this interview can’t cover all my lines (lol). I need a book to explain my day! Basically, I wake up at 5am, start with cardio, meal, meal, gym workout, meal, gym workout, meal and sleep by 11.30pm. Do you miss anything while maintains the rigid regimes to reach your goals? I miss the normal life and the juicy food. However, but I am used to it, but still I can complain about it (lol). After your victory at the Asian Championships in 1996, you had waited for six years for the next victory. Similarly, you had waited for 9 years, after your victory at Men’s World Championship for the victory at Ifbb Pro Spain. Are you purposely taking these breaks? We heard of champions shows up in a period of time and they disappear, because they burned their cards and reached their maximum potential. In my case, I didn’t! I always keep something in my tank…an element of surprise. Rush, looking for short cuts, avoid legs workouts, reading something from the net and intend to do it at the gym. What’s your advice to the aspiring bodybuilders? Set a plan, follow your target and never give up. Failing is the sign of doing something right and big, just keep trying and never look back, always stick with the basic, and have a smart trainer to look after you. Genetics can’t help you alone, hard work, dedication and discipline matter too. I have a beautiful wife (Elvira) who is supportive and with me for 17years and my son sultan 14years old, and my daughter 16years old. I thank God every day for the great small family I have! Thank God I achieved all my dreams and more, and hungry for more.